Mariusz Hoffmann - wakhanexpedition2012s Jimdo-Page! Mountains are his life - no matter if at home, the rock climbing paradise of Frankenjura or in the far distant places on this planet, he is passion driven on the constant lookout for new challenges. 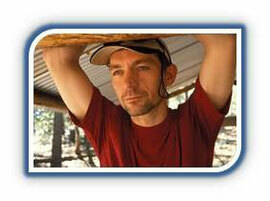 His experience in climbing as well as filming are a big asset to our expedition. He worked on the Baffin Island Expedition film "Ausgesetzt" - a huge success on international outdoor filmtours and festivals. Kurt Albert & Stefan Glowacz climb a new route through the highest rock cliff of Mexico. With Hans-Martin Götz, Holger Heuber, Gunda Frühwald und Mariusz Hoffmann. 2002 - Kurt Albert´s Expedition to the "Cirque of Unclimbables"